Available For a Limited Time Exclusively On Tokyo Otaku Mode! 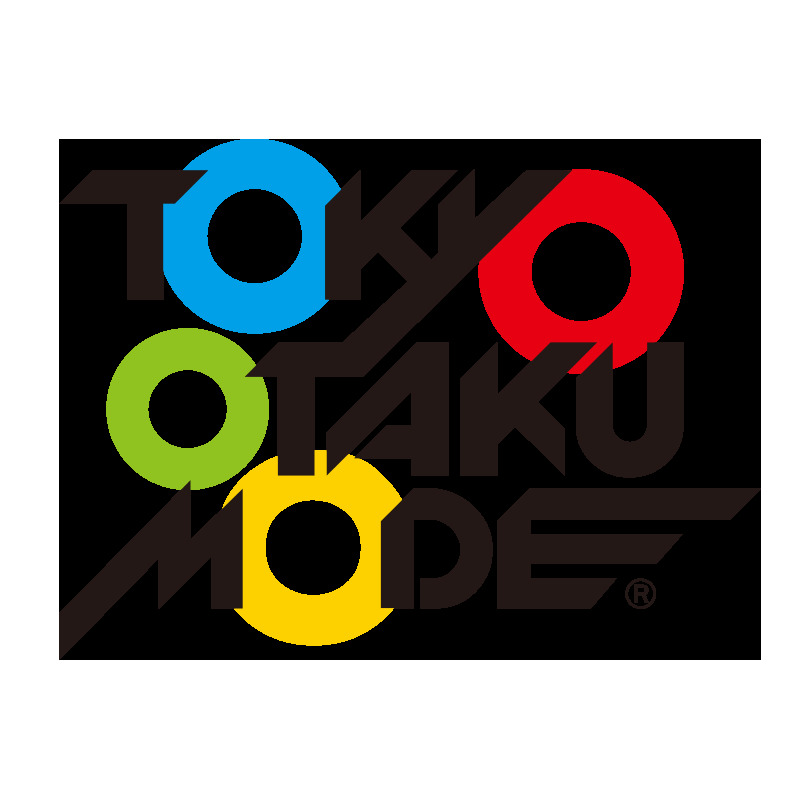 Tokyo, Japan - Aug. 29, 2016 - Tokyo Otaku Mode Inc. (President & CEO Tomohide Kamei; herein referred to as TOM) will begin accepting pre-orders through otakumode.com for a limited time for a paper-tape music box which plays the in-game music “Winter Journey’s Tale” from the PS4/Windows RPG I am Setsuna which was released on July 19, 2016. Pre-order sales will be available to domestic and international fans for a limited period from Aug. 29, 2016 at 5:00 pm to Oct. 7 at 7:59 am (PDT). I am Setsuna is a role-playing game developed by Square Enix’s new studio Tokyo RPG Factory and was created with the concept of returning to the JRPGs of old. Throughout the 1990s, Japanese role-playing games became a worldwide movement, and now the attempt to return them to their rightful place has attracted the interest of countless fans. In the two months following the release of the Japanese language version of the game on Feb. 18, 2016, around 100,000 copies were sold. Interest was high even outside of Japan, and in the two weeks following the release of the English language edition on July 19 a further 50,000 copies were sold, threatening to rival Japanese year-end sales. One of the reasons I am Setsuna has become so popular is its high quality musical score. Gently colouring the game’s pure white, snow-covered setting, the in-game music has won the approval of fans both in Japan and overseas. 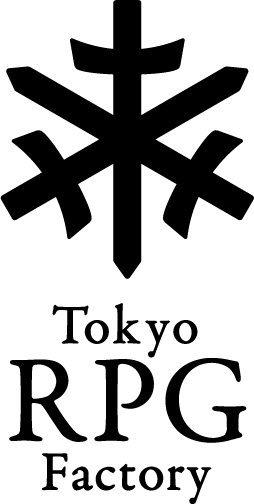 TOM has placed Japan-related merchandise at its center through operating an ecommerce business catering to overseas fans. From 2016 onwards, TOM will be launching “Projects” - a platform to develop original merchandise. 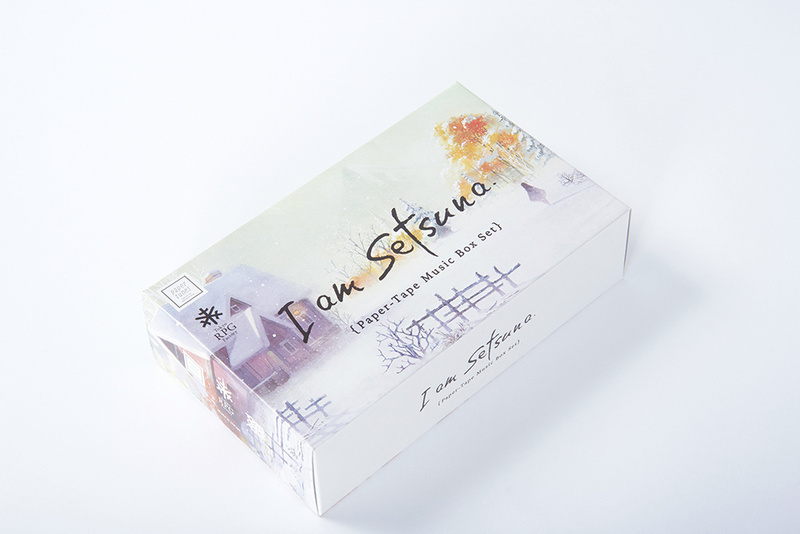 Part 1 of the plan will be this I am Setsuna collaborative product. The “Winter journey's tale” theme has been specially adapted for music box and each of the music boxes will also come with the sheet music. Experiencing the difference between the music box version and the game is highly recommended. Popular characters from the game are printed across the sheet music. 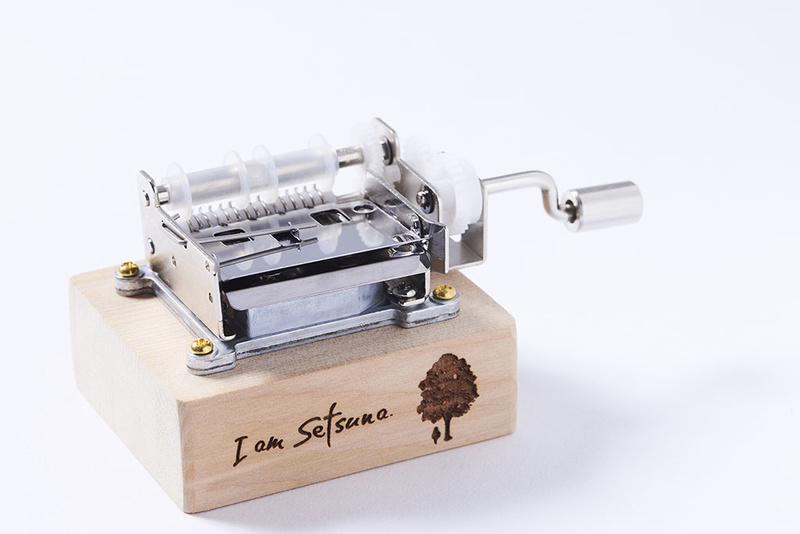 When you turn the music box by hand, you can see the characters walking in time with the music. 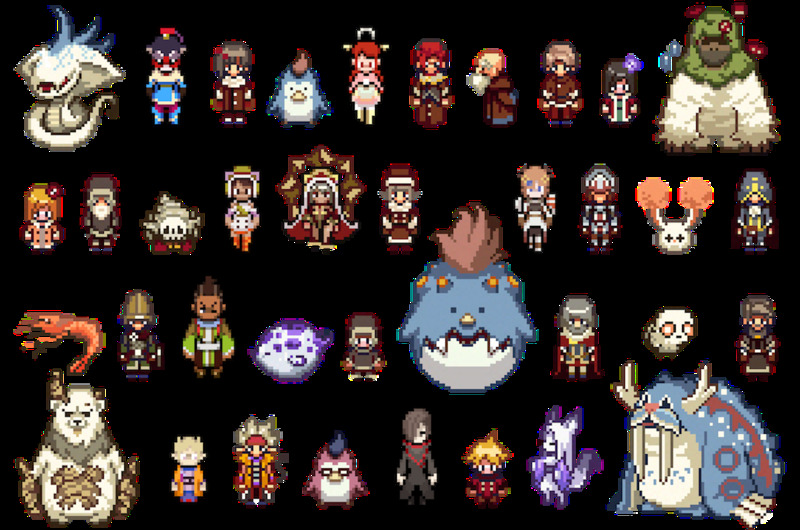 The characters are illustrated in a pixel style which you can only see at specific points in the game, so you can enjoy the beautiful music whilst recalling those moments. 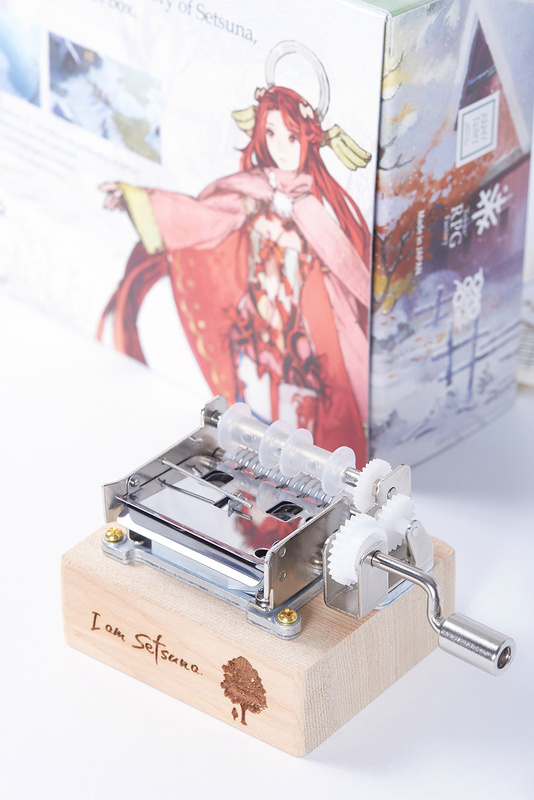 The music boxes are made to the highest standards and have the I am Setsuna English language logo on the base as well as the game’s tree silhouette icon. 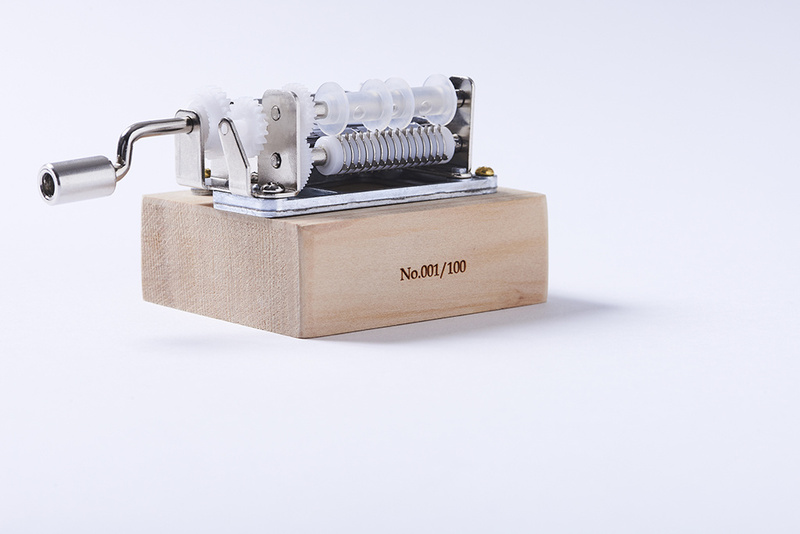 Each of the 100 limited edition pieces also has a serial number etched into it, so each music box really is unique. 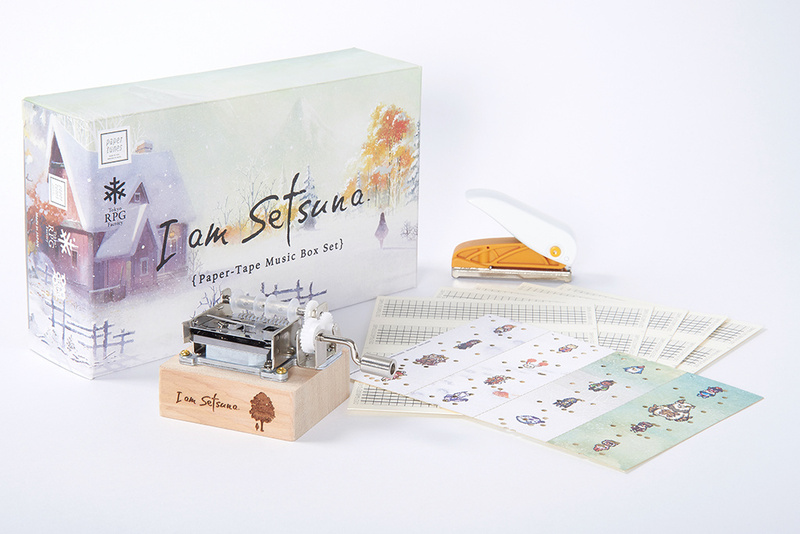 The packaging for the music boxes playfully pays homage to the classic SNES game boxes. The design also recalls the original concept of I am Setsuna, which focussed on recreating the ‘90s RPG experience. Using the included hole punch and musical score you can start to create your own original music. The set comes with an instruction manual on how to use the hole punch and paper so you can enjoy creating with ease. TOM has been expanding as an ecommerce business focussed on worldwide sales since 2013, but this year it launches a new initiative - Projects, a platform for developing original merchandise by collaborating with creators and other media. TOM will strive to deliver achievable projects to fans throughout the world. As well as expanding its available product lineup, TOM is considering joining with fans to develop products, so please take note of further developments. Planning/sales: Tokyo Otaku Mode Inc.
TOM began on Facebook (http://www.facebook.com/tokyootakumode) on March 24, 2011 as a page sharing news, events, and merchandise relating to Japanese pop culture. Currently at over 18.4 million likes*, the company ranks fifth worldwide in the Facebook ecommerce service category and ranks second in the top 50 best Facebook brands**. The company’s ecommerce site, TOM Premium Shop (http://otakumode.com/shop), launched in 2013 aimed at consumers worldwide. The shop directly deals with manufacturers and makers of pop culture merchandise in Japan and curates items aimed for a global audience. To date, TOM has shipped products to over 100 countries. In September 2014, the company received an official investment from CoolJapanFund Inc., and continues to work to advance their mission of helping to bring the best of Japanese pop culture content to fans all over the world. **Researched by Social Bakers (http://www.socialbakers.com/). 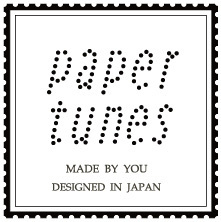 Paper Tunes was founded on Dec. 5, 2011 and develops paper-tape music boxes which allow the user to “see” the music and “hear” the pictures. The company aims to expand the musical experience and has collaborated with numerous composers, mangaka, illustrators, poets, and photographers. 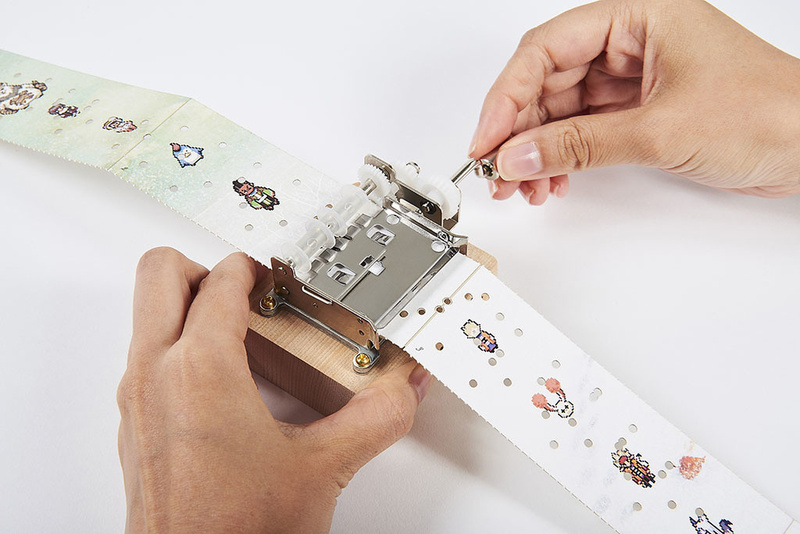 The paper-tape music box manga was selected for recommendation by the jury of the 17th Japan Media Arts Festival. ©2016 Tokyo RPG Factory Co., Ltd. All rights Reserved.